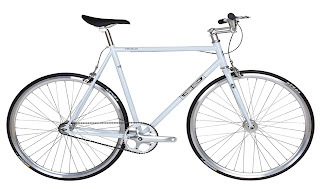 The BJ CHARLIE FIXIE now back in stock. 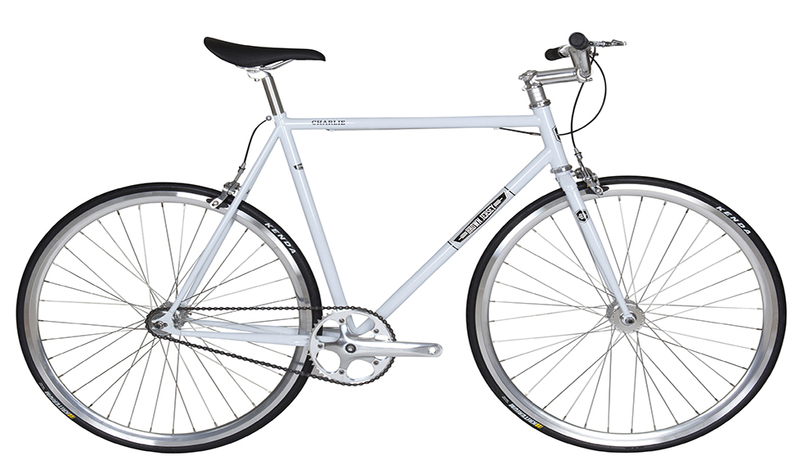 One of our second generation single speed bikes finished in pearl metallic white with a classic high riser handlebar. Available in 5 frame sizes.